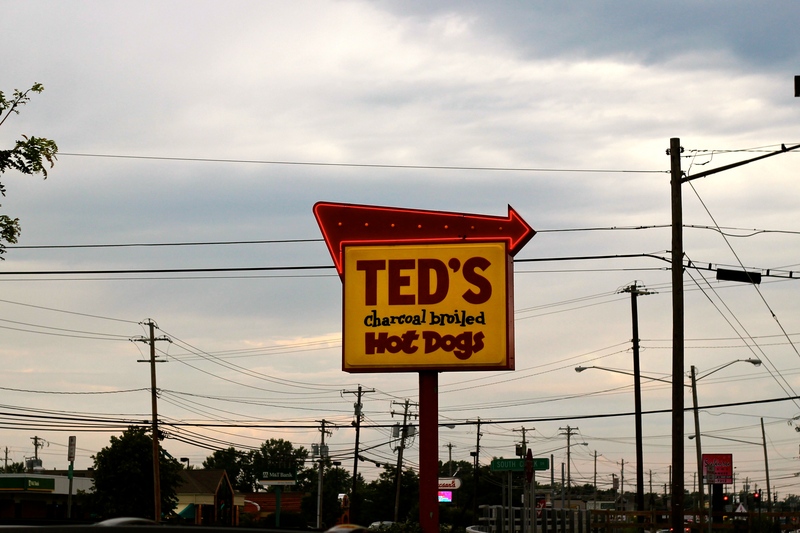 After the disappointment of Theodore’s Red Hots, I thought I would see if Ted’s Hot Dogs, the one that started up in 1927, was any better. After all, they had plenty of time to perfect the recipe. This time, though, I went with a meal deal because I had a coupon and because two chili cheese dogs in one night obviously isn’t enough for me. So, along with the chili cheese dog I ordered fries and a drink. Like Theodore’s, the Sahlen’s dog went onto the charcoal grill until it was nicely charred up. Then it got the nacho cheese squirt and a ladle of chili. The deal came with fries and a drink, and for my drink I ordered Loganberry pop because it intrigued me. For starters, no one should ever drink Loganberry pop. It might truly be the worst beverage concocted by man, tasting like pure sugar with a funky/terrible flavor. I couldn’t blame Ted’s for having a horrible fountain drink, but I could blame them for somehow having a chili less flavorful than Theodore’s. This is actually a feat because Ted’s seemingly discovered there is something less than no flavor. The hot dog itself was good, but that was almost masked by the nothing on top. 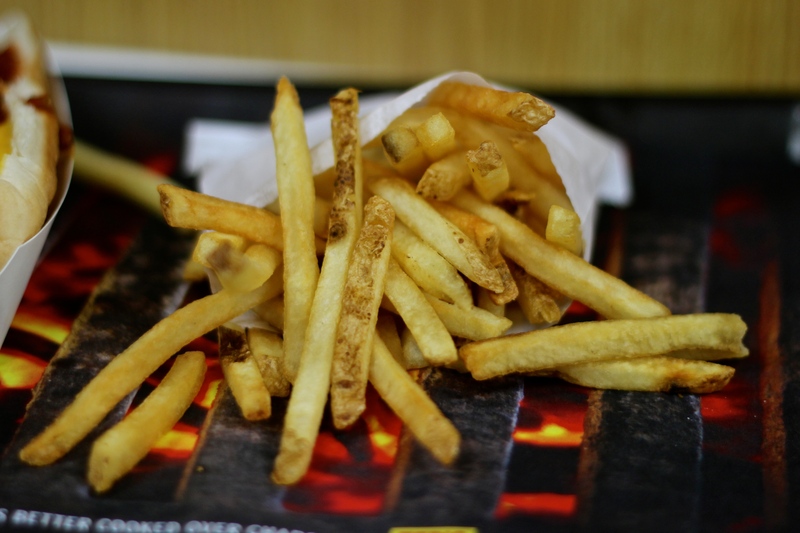 The fries were fine, but they were also pretty normal. 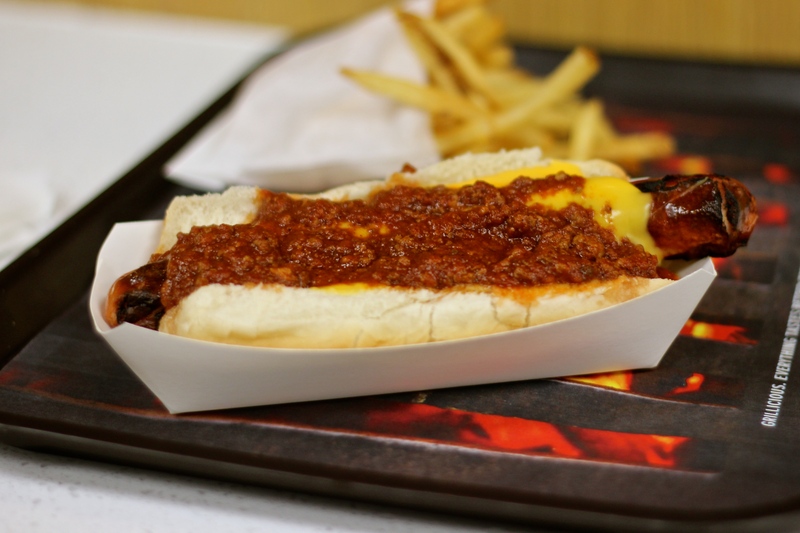 I’d like to say they’d be better with chili and cheese, but having tried that combo on a hot dog, I wasn’t so sure. In the end, I would love to continue eating Sahlen’s hot dogs, but I can definitely do that in the comfort of my own home. Usually I don’t make such comparisons because we go out instead of preparing food. But these are hot dogs. They require so little effort and even less than going to a hot dog spot.